I’ve been wanting to write this post for awhile, but I wasn’t sure on the timing. Should I do it right after I signed? But that seemed a little soon. What about after you get a book deal? Well, I’m still waiting on that. And submission can be a long process, so I decided to go ahead. No need to wait. Besides, maybe it’ll get my mind off the fact that actual editors at actual publishing houses are reading my manuscript. I won’t bore you with the long, drawn-out story of how I became a writer. Maybe that’s for another day. Let’s enter at the scene where I have a publishable YA Post-Apocalyptic manuscript just waiting for the right agent to snap it up. 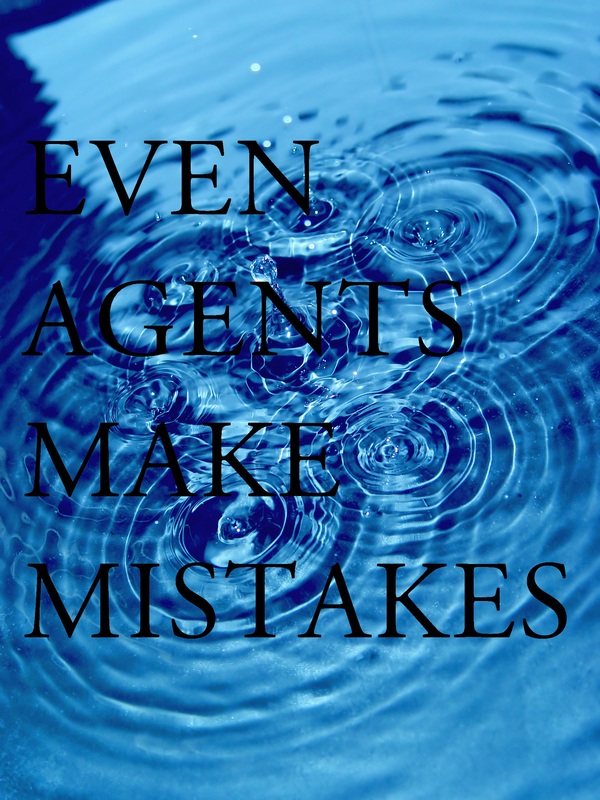 I researched agents and how to write a query. Wrote. Revised. Wrote. Revised. Etc., etc. Created a list of agents I felt most strongly about, which of course starts out sort of scientific with pluses and minuses and trying to order them based on who you think you would work well with and give your book the best shot. But it always ends up being more of a “feeling” because cold, hard facts mean nothing if you can’t work with the person. And since you don’t really know the agents personally, you have to go by their interviews, websites and blog posts. But then a certain rejection showed up, and I was disappointed, but also elated. I remember thinking while researching this agent, “This is someone I can see myself being friends with even if publishing weren’t involved.” I’m not sure what it was, but I could just tell she was my kind of people. And though it was a rejection, it was sweet and sincere, and I felt an instant connection. So I did something I’d never done before. Ever. I tweeted a thank you to this agent for her a rejection that almost felt as good as a full-request. Almost. The agent responded with a heartfelt thank you. And that was that. She moved to the top of my agent list for future manuscripts and I went back to work. But in my mind she had joined a small group of agents that I really, really wanted to work with in the future. When I was ready to query again, she was one of the very first agents I contacted. But sometimes, the agents you contact first aren’t always the first to get back with you. As I said before, agents are busy people. They might not get to your query until months after you’ve written it. Time went on, rejections and requests filtered in, and my query spreadsheet filled in with dates and notes, red for rejection and green for requests. Then I got her full request. I was more than happy to send it her way. She gave me a timeline for when she would read, and I let her know how many other fulls I had out. And then the unthinkable happened. I had an epiphany about a major change to the book. I thought about it for a few days, decided it had to be done, then gathered my courage and asked if she would wait a few weeks to read a revised version. Once again, this is not always the best thing to do. It’s usually better if you have feedback from say another agent and decide to make changes, or a good excuse as to why you just made yourself look totally unprofessional, but all I had was a new set of beta notes and an AhHa! moment. Agents, to my understanding, would much rather wait on reading and see your best work, but I have to believe this makes you look a little flaky. Still, she was happy to wait and I revised and got her the MS as quickly as I could. I’ve kind of forgotten the timeline after this. I don’t remember how long she had my MS, or how many other fulls I had out at the time. In fact, I tried not to think about any of it too much, because once the MS is in their hands, there’s nothing you can do but write another book or send more queries. Needlessly worrying is not helpful. (We do it anyways.) But it’s not helpful. The day I found that little email in my inbox that said, “I love your book. Let’s schedule a call.” I was shaking for the rest of the day. We set-up a day and time to talk, and I spent almost a full week alternating between excited squealing to my husband and my sister, and convincing myself this was not, in fact, THE CALL, but only a courtesy to let me know she couldn’t represent me. Which made very little sense, but hey, I have heard of it happening before. I’d be lying if I said I wasn’t a nervous wreck by the time we actually talked. I have social anxiety as well as a phone phobia, so yeah, that part wasn’t the most fun, but my intuitions were correct. This agent was the sort of person I would get along well with. She listened to me gush about my book, what I hoped for it, what I wanted to achieve and most importantly, she understood how I felt about not only bringing more diversity to children’s literature, but also my ardent need to do it correctly and cause no harm. Despite my nervousness, it went well. And at the end of the conversation, she offered me representation. It was like watching a huge part of your dream come true. Surreal and amazing and terrifying all at once. Of course, I felt like there should have been fireworks over my house, but city ordinances and all, so no explosions. I asked for the customary two weeks to think it over and to notify any agents with outstanding fulls or queries about the offer. We agreed to another day and time for a call and I went about the business of contacting the handful of agents with outstanding material. Those two weeks were unreal to me. When there’s a deadline for decisions, publishing can move fast. I had double digit fulls out at one time and that has never happened to me before. But it was anxiety-inducing too. 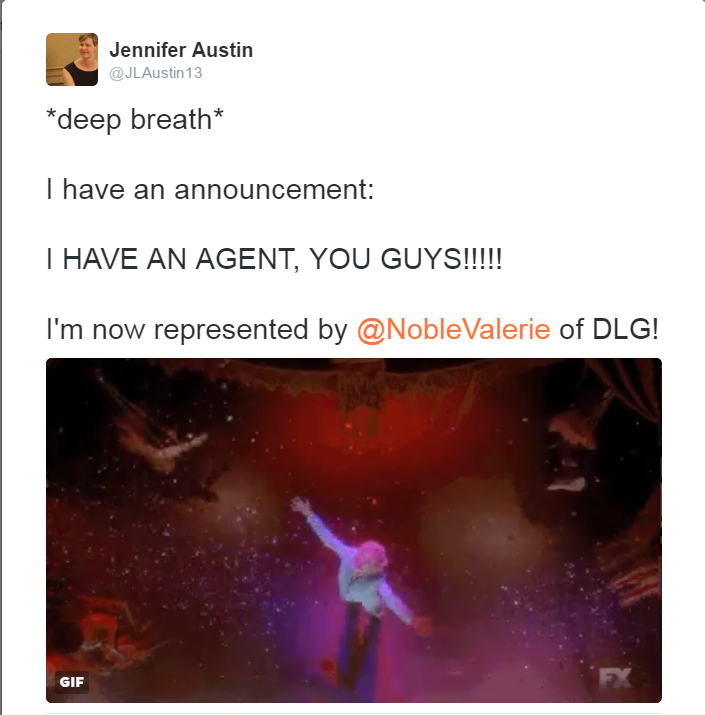 Because all the while I was excited to see my book being read by many fabulous agents, there was a part of me that wanted them all to reject ASAP so I could call the offering agent and accept. I told myself that wasn’t good business, that I needed to be open to other offers and think about my career and what was best for that. But really I just wanted to accept the person I’d already connected with, the one I was feeling comfortable and excited about. It was a long two weeks. In the end, I called Valerie Noble and told her she was the one I wanted representing me, my books, and my future endeavors. Sometimes your first instincts really are correct and I’m so glad I found her as my agent. She has to listen to me ramble on about my books, diversity in literature, and of course my kids on occasion. It can’t all be business! But I’m lucky to have found her and so excited to be partners in the publishing journey. And just a little side-note to end this post. I know this has been said before, but I’ll say it again. NEVER GIVE UP! My connection with Val didn’t start with the first book of mine she wanted to represent, it started with the one she didn’t want to represent. Writing a book, even one that doesn’t get published, is part of the journey. It’s practice, and querying that book makes connections. So don’t give up after one or two or even three. I think Beth Revis had eight trunked manuscripts before she was published. So keep it up. Your goals can come true too! Good luck! Agent Research: I Forgot to Tell You Something! And maybe think about that “How I Got My Agent” post for the future!